TenguLife: The curious guide to Japan: Whales vs AKB48 - which is the more traditional? In the last weeks Japan has been called to task for whale hunting. Since 1986 it continued to hunt whales for "scientific purposes" whilst arguing it was traditional and therefore should be allowed. If it was for scientific purposes then the justification about it being traditional seems somewhat superfluous but lets leave that for the moment. Slightly before WWII Japan introduced industrial hunting with technology from Norway. Only then did whale hunting start to increase significantly. Prior to that, Japan had consumed no more whale meat than any other fishing nation and hunted far less than countries such as America. It was only after the war, when Japan desperately needed to feed a starving country, did the hunt increase significantly. School children in the 50's and 60's grew up on whale meat. 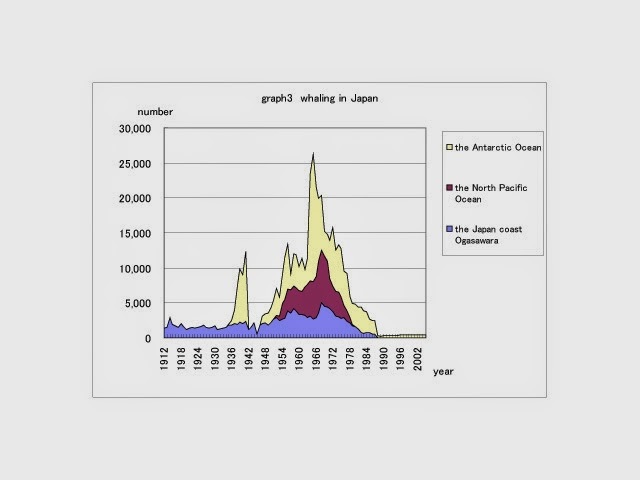 So, hunting whale can be argued to be no more traditional in Japan than in any other country that has abandoned it permanently. 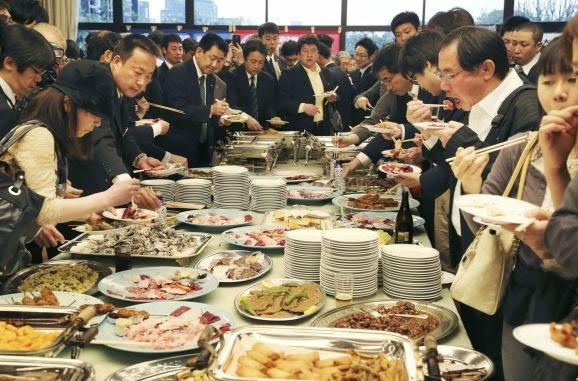 However, as can be seen from the lunch yesterday held by members of the Diet (the Japanese Congress) who are here eating whale, the industry maintains a powerful level of political support. So the question is why do people continue to argue it's traditional or even scientific research. In summary, it might be argued that it's reasonable to say whale hunting in Japan is no more traditional than AKB48, a current popular girl group, a format which traces its traditions and culture to the entertainment districts of Yoshiwara 400 years ago. Also, they're a lot more popular, don't receive a government subsidy and it has to be said, look a whole lot better than a dead whale.